This entry is part 4 of 13 in the series Magento 2 for PHP MVC Developers. Earlier posts include Introduction to Magento 2 -- No More MVC, Magento 2: Serving Frontend Files, and Magento 2: Adding Frontend Files to your Module. Later posts include Magento 2: Adding Frontend Assets via Layout XML, Magento 2 and RequireJS, Magento 2 and the Less CSS Preprocessor, Magento 2: CRUD Models for Database Access, Magento 2: Understanding Object Repositories, Magento 2: Understanding Access Control List Rules, Magento 2: Admin Menu Items, Magento 2: Advanced Routing, and Magento 2: Admin MVC/MVVM Endpoints. We interrupt your regularly scheduled Magento tutorial for a quick announcement about a new (Magento related project) I’ve been working on. Pestle is a new PHP (5.6+) framework for creating and organizing PHP programs into python like libraries of functions. It’s a little outside the mainstream direction PHP’s heading these days, but if python like library of functions whispers to a secret part of your programming heart, checkout the wiki and your feedback is more than welcome. If python like library of functions does not whisper to a secret part of your programming heart, the other half of pestle is a growing list of Magento 2 code generation functions. I was always a little disappointed that Magento’s community driven code generation tools have been focused around a kitchen sink approach, and pestle’s generate_ commands are a response to that. Right now we have commands for generating a new module, a new route, a new view/block/layout for that route, a new observer, a new Magento CLI command (recursive! ), a skeleton theme, a plugin’s configuration, and a command to automatically add the property, parameter, and assignment that injects a dependency into a class. We’re also keeping a running list of command suggestions, so if you have an idea or would like to work on an extension please head on over to GitHub. If you’re not familiar with what code generation can do for you, the rest of this article explores the pestle command for creating a new module. If you’ve worked through the Introduction to Magento 2 — No More MVC, you know creating a basic Magento module is straight forward, but involved many different files. Pestle can handle the grunt work of creating those files for you. For example — all you need to do to generate your module.xml boiler plate is run the following. The next part of creating a Magento module is adding a URL controller endpoint, which is also known as a route. Pestle can handle this for you as well. Open the generated controller and add the following debugging code to the execute method. You should see an HTML page returned with HTTP Status: 200, and the following content. Don’t forget to remove the var_dump debugging code before moving on. Now that we have a module and controller endpoint configured, we need to add Magento’s default view files. Once again, pestle can save us the hassle of needing to manually create our layout handle XML file, phtml template, and default block/view class. After running the above, clear your cache and reload the page. 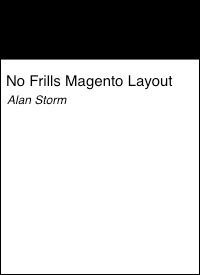 You should see a fully laid out Magento page, with your view’s content right in the middle. If you run into any problems/inefficiencies, or have command ideas, issue tickets are encouraged and welcomed.